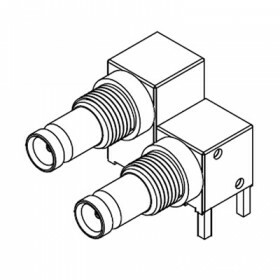 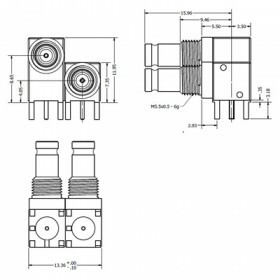 The C-SX-161 precision 75Ω DIN 1.0/2.3 Stacking Bulkhead Connector. The small format of the 1.0/2.3 style connector and the diagonal mounting format allows an enhanced packing density of connections on a standard PCI card. 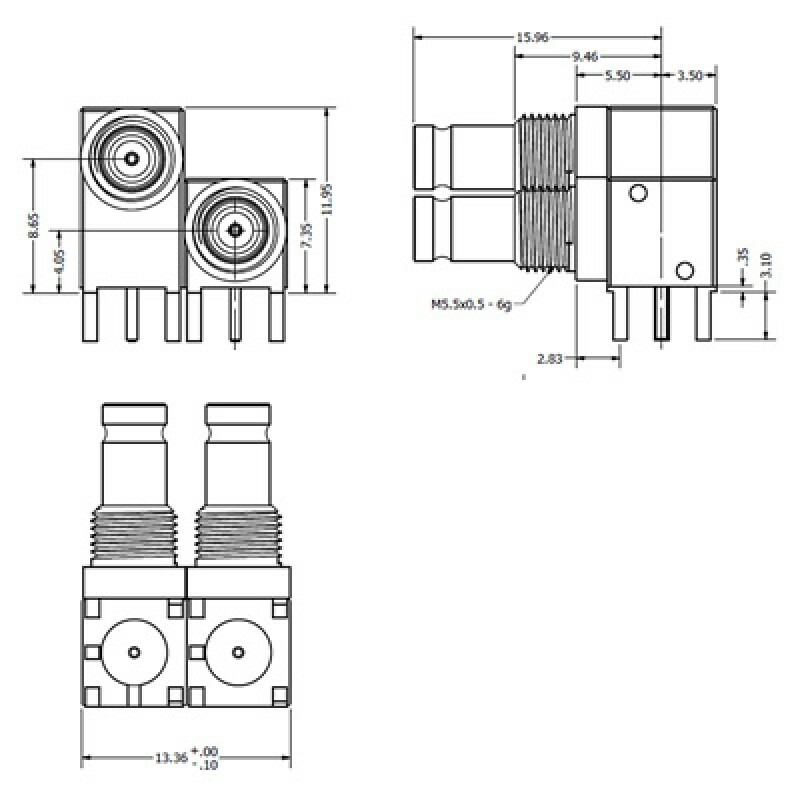 The connector is supplied with nut.